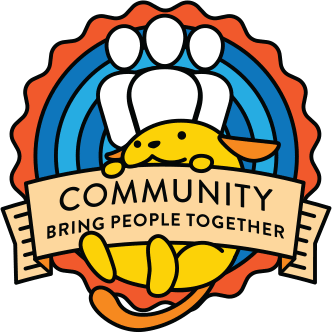 A couple of days ago, there was a discussion on Slack #community-events about how communities in India address anti-caste discrimination for Meetups and WordCamps. Currently the word “caste” is not part of or mentioned in the Code of Conduct. Discrimination on caste basis has been a historical problem for societies across India and much of South Asia. For example, in India there is a law against discrimination, yet bias and exclusion happens regularly. More context and information can be found at the Wiki article Caste System in India and Affrimative action. I propose we add the word “caste” in the code of conduct wording. This change will acknowledge that discrimination or exclusion on caste basis is not acceptable at meetups, WordCamps and other WordPress events. Apart from serving as a deterrent, it would empower participants of WordPress events to be able to address violations in a more formal way. I don’t see a problem about adding this word. It makes perfect sense. Sounds about right – voting for the update. I don’t see a problem with it, but would suggest a more globally understood term might be used. Would “Social Class” be more generic? I would argue that the term “caste” is pretty global. It is not specific strictly to India or South Asia. It has some resonance in Africa too. I personally, stated India because I am more aware of it in the Indian context. Additionally, using the term “social class” is often considered as watering down the discrimination faced due to caste identity. Assume class is a separate issue requiring a different discussion (though I’d be in favor). I definitely think we should do this, and that we want to be clear about “caste” separate from “social class,” though we shouldn’t be discriminating on that basis either. I think we should go ahead with adding “caste” to the event CoC. Will we need to go through all the upcoming WordCamps and update them? or do we inform the organisers and ask them up update it? I feel liek updating the COC without informing organisers who are already in the midst of organising may cause issues. At WCLDN, at ticket sales you agree to the COC at the time of buying a ticket, so any changes after that point could be a bit problematic in the sense that someone may argue that they did not sign up for those terms and conditions. This addition makes sense to me. This small change can make a lot of impacts. Also, “class” is a completely different thing. We can actually think about adding both of them. I’m happy with this addition. While we’re at it, in order to be more globally encompassing, we may as well add “caste” and “social class” as items in this list. I don’t see any harm in doing that. “Caste” is not exclusive to India of course, but many countries don’t really use the word and would use “social class” to describe a similar concept. +1 for adding it to the CoC. I like it. Let’s do it. I think “caste” is an easy-to-understand word. I also agree to add “social class” together. Sorry if I missed out on mention anyone. Here is a summary of the discussion on this proposal. While everyone has agree to add the word ‘caste’ to the Code of Conduct for WordCamps, there was a suggestion by @jb510 if ‘Social Class’ was a better and more global term that can be used. While ‘social class’ can also be added, ‘caste’ is a word that is more specific to many parts of the world. @miss_jwo raises an importance concern about how do we go about updating the COC for WordCamps that are already selling tickets. As essentially many WordCamps attendees agree to the COC when they buy the ticket. So any changes after someone buys a ticket, they might suggest that they did not agree to this particular point on the COC. While this might not be much of an issue in this particular proposal, but it is an important point that needs to be discussed more, especially in the context of Community Code of Conduct #ccoc developments or any future change of wording planned for Code of Conduct for WordCamps. @hlashbrooke suggests we add both ‘caste’ and ‘social class’ in the list. I agree with this. We should start adding these words to the Code of Conduct text in the following format. We can then inform WordCamp organising teams, which already have the Code of Conduct up about the addition of these words to the list. +1 for adding both ‘caste’ and ‘social class’ to the list. Never thought about Caste issues except for one case which was mentioned in WCMumbai a few years ago. An addition will be Great! I don’t think we made this change after all, cause I can not see it in the Code of Conduct. Are we holding back because the #ccoc group is working on a new text? Nope we did not make the change. I do not think the #ccoc group has anything to do with it. It might just be, I am not sure how to make this change afterall.